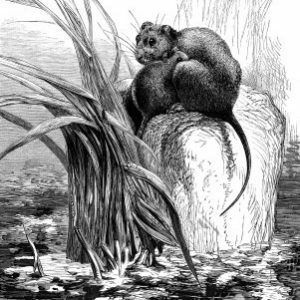 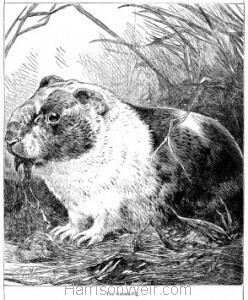 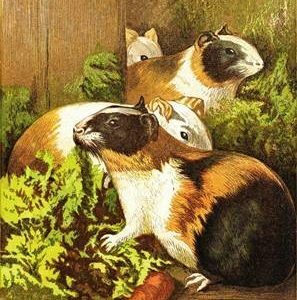 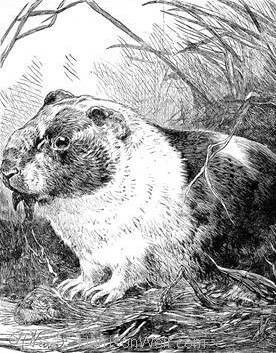 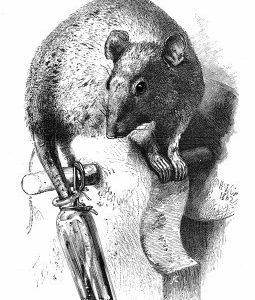 This image entitled simply “Guinea Pig” is from an 1886 edition of “Chatterbox” published by Estes and Lauriat, Boston. 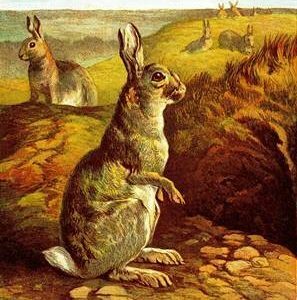 Literally hundreds of these simple animal images by Weir, grace the pages of Chatterbox and The Children’s Friend, and a raft of other children’s publications from 1860 onwards, so that two and in some cases three generations of youngsters, were raised on a literary diet of “kindness to animals”. 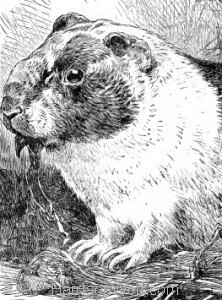 This image is available in A4 and A3 sizing options. 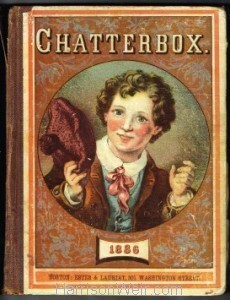 Detail: 1886 – Guinea Pig Book Cover, Chatterbox 1886, Estes and Lauriat, Boston.